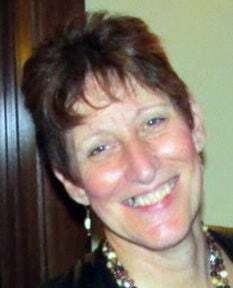 HUDSON FALLS — Kathleen (Kathy) M. Casey Spear, 57, passed away peacefully on July 12, 2018, surrounded by her loving family after a heroic battle with breast cancer. Born Oct. 6, 1960 in Glens Falls, Kathy was the daughter of Julia (Murray) Casey and the late Thomas P. Casey. She graduated from Hudson Falls High School in 1978 and earned a degree in animal husbandry and dairy from SUNY Cobleskill in 1980. After college, she applied her entrepreneurial spirit to Kate’s Castaways, a secondhand clothing store in Queensbury with her aunt, Anne DePalo. Kathy committed her professional career to Reliable Racing Supply in Queensbury, assuming positions of increasing responsibility, retiring at the position of Operations Manager. Kathy was unfailingly dedicated to being an active parent. She adored her children, James and Molly, and was an enthusiastic supporter at every sporting event and school function. Kathy also loved her flowers, and enjoyed trivia nights with her friends. She was a talented artist and an outstanding singer, providing the soundtrack to numerous celebrations of love and life—and she did it all while dressed to the nines. From the moment of her initial diagnosis in 2007, Kathy redefined “survivor.” She was a warrior, a light in the lives of all who loved her, consistently positive and hopeful. She loved to laugh and handled each new diagnosis with grace and humor. Kathy treasured time spent with her family, especially James and Molly and her cherished chihuahua, Ben. She constantly demonstrated to all who knew her that cancer did not define who she was or how she lived her life. She was selfless to the very end and encouraged those who loved her to live each day with peace, love and happiness. Left to cherish her memory are her beloved children, James Spear of Adamsville and his girlfriend, Marissa Ruddy of Averill Park and Molly Spear of Hudson Falls and her boyfriend, Aaron Riley, also of Hudson Falls; her mother, Julia Casey of Hudson Falls; her sister, Maureen Casey and brother-in-law, Andrew Mahoney of Buffalo; her brother, Dennis Casey and sister-in-law, Margaret (Champaigne) Casey of Kingsbury; her nieces and nephew, Jillian Casey of Kingsbury, Sara Casey of Kingsbury and her boyfriend, George Lehoisky of Fort Ann and Sean Casey and his girlfriend, Regina Rosati of South Glens Falls; her loving uncle, Patrick ‘Bubby’ Casey of Adamsville; her adoring aunt, Monica (Casey) Eastman of Fort Edward; as well as many cherished cousins and friends. In addition to her doting aunts, Kathy was predeceased by her father, Thomas P. Casey. Arrangements are being made by Carleton’s Funeral Home in Hudson Falls. At Kathy’s request, there will be no calling hours. A funeral Mass will be celebrated at 10 a.m. on Saturday, July 14, at the St. Mary’s/St. Paul’s Church on the park in Hudson Falls. There will be a private burial at the convenience of her loved ones. The family would like to extend a sincere thank you to Dr. John Stoutenburg and the staff at the C.R. Wood Cancer Center for their steadfast care and compassion over the last eleven years. Kathy’s road was a long one, full of unexpected twists and turns, and the physicians and nurses, especially Barb Moehringer and Patty Godnick, personified partnership throughout Kathy’s journey. There are also too many others to mention who provided care and assistance along the way, including aides and nurses from Fort Hudson Home Care Services. In lieu of flowers, the family has suggested donations be made to the C.R. Wood Cancer Center, in honor of Kathy’s extraordinary life.